An overlooked garage is actually a treasure trove of green upgrades. For many homeowners, their garage door is the last thing they see before they leave for work, and the first thing they see when they come home. But if you’re looking for an opportunity to make some green home improvements, your garage door is also a great way to help save the planet — and cut down on your energy bills. It’s a win-win. Among contemporary green homes, eco-friendly slide doors are increasingly replacing traditional materials because of their aesthetic appeal and trendy patterns. 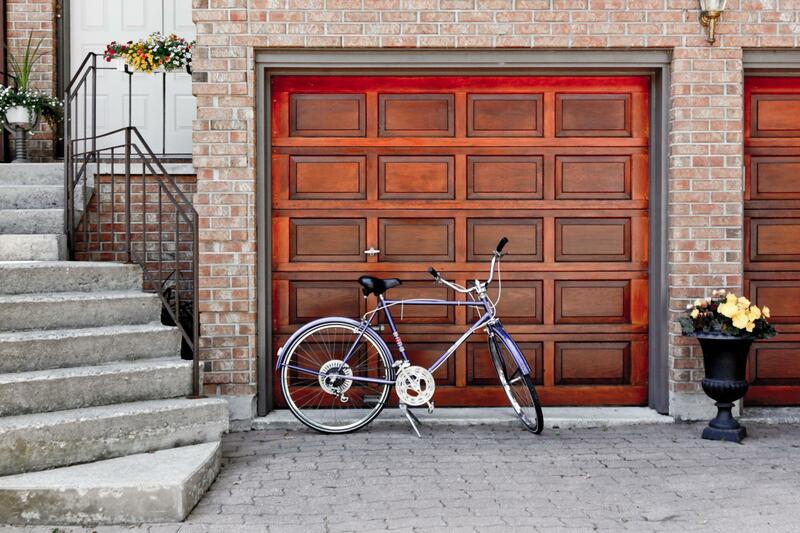 If you want to upgrade your garage door (and your home’s curb appeal), it’s easy to opt for recycled and eco-friendly materials. Here’s what you should look for while you shop around. Eco-friendly garage doors are built using reused and recyclable materials like domestic wood and composite wood. With the help of advanced technologies, manufacturers are transforming reclaimed materials into a great set of garage doors. If your heart is set on a wooden garage door, work with a company whose suppliers use certified logging practices that don’t damage rainforests, and opt for additional garage door insulation to reduce your energy costs. Among metallic overhead doors, composite steel is the most common material. Since they are made of steel, these garage doors are naturally strong and sturdy. Dampness causes no damage, and these doors are unaffected by snow or hail. 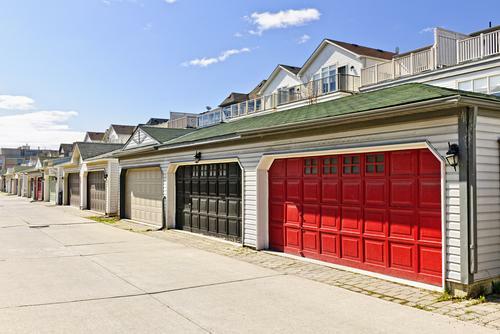 Though they are priced higher than nonmetallic garage doors, they require less maintenance — consequently, the long-term cost is lower. In areas with serious climate conditions, a double-sided insulated steel door is desirable over a single-side insulated door. Even if you live in a temperate climate, an insulated door has a longer lifespan than those without insulation. If you want to take your eco-friendly creds a step further (and you’re handy with a toolkit), invest in a solar-powered garage door opener. This is also worthwhile if you want to move toward energy efficiency or off-grid living without having to completely replace your garage door. Garage door openers tend to draw 5-8 watts of power in standby mode for every hour they are plugged in, which is a small (but unnecessary) drain on your energy bill. Solar-powered garage door opener systems require a solar module, opener, and accumulator. They use one solar panel to power the opener, and a battery holds an adequate charge to work during the night. Why Use Eco-Friendly Garage Doors? Eco-friendly garage doors benefit the environment because they are made from reclaimed wood, which reduces the need cut more trees.Furthermore, these doors require less work to manufacture, which reduces their carbon footprint. Garage doors made from reclaimed materials are quickly turning into an alternative of choice for many homeowners. They increase curb appeal, increase the value of your garage area, and lessen the ecological impression other types of doors may have. Therefore, if you are searching for another garage door for your home — and need one that is beautiful, durable, and environmentally friendly — then you would do well by picking an eco-friendly garage door. Let’s save our environment for our future generations! About the author: Oren Linder is a founder of ASAP Garage Doors Services. He loves to write about home improvement and garage doors. If you'd like to write for Green Future, check out our submission guidelines here. "Upgrade your home’s garage door and curb appeal with recycled and eco-friendly materials." More than 15.8 million children do not know when they will get their next meal.